Alexandra Wong is an award-winning writer who has produced creative written content for dozens of media titles, brands and corporations since 2006. After graduating with an honours degree in English Language and Literature Studies from Universiti Sains Malaysia, Alexandra did corporate sales in the Penang division of tech giant Dell. Between chasing quotas and closing million-dollar deals, she contributed articles intermittently to the media. After much soul-searching, she resigned at the peak of her career to pursue her writing passion full-time. Despite entering the writing industry with zero contacts, she quickly accumulated a diverse body of media work that included interviews with industry captains and thought leaders, travel reports, human interest stories and op-eds. These days, in addition to writing for local and international media titles, she translates brand values into creative content for corporations, academic institutions, professional organizations and NGOs. In recent years, having developed a strong interest in nurturing budding writers, she gives regular talks and conducts workshops to share her experiences as a writer. In 2012, the Magazine Publishers Association recognized her achievements with two awards for writing excellence, a rarity for freelancers. 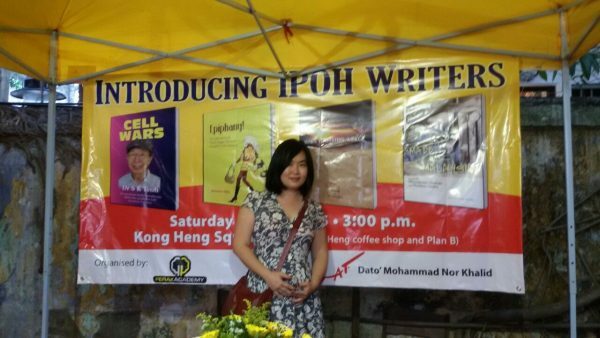 She fulfilled a long-overdue personal goal in 2014 when her first book, Made in Malaysia, was published by MPH Group Publishing. In less than a year, it entered its second print run.